A Lotion Bowl is a dish, generally round in shape,with a wide open top. It is deep enough to hold lotions or ointments, etc. during a surgical procedure. Medical practitioners, in hospitals, nursing homes and other healthcare units, particularly in operation theatres & surgery centres, use these handy Bowls for holding small quantities of other material including sponges, dressings & gauzes also. GPC Medical Limited, the trusted Indian manufacturers & exporters of a variety of hospital equipment & devices, in the range of stainless steel hollowware, offer high quality Lotion Bowls also. These Bowls, in addition to our regular models, are also produced as per the customized requirements. The steel used is of medical grade. The Lotion Bowls can conveniently be sterilized. They are being exported, in large quantities, to various countries across the globe. 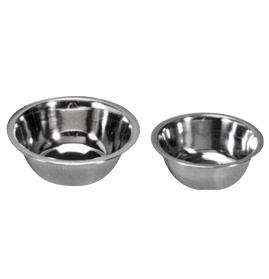 Send Your Buy Requirement For "Lotion Bowls" AND Get Quote Quickly.